Blog / Weekly report 08/31. By the end of the next week (7th of Sep), we will have released ICO Contract based on EOS blockchain. Due to NEO blockchain changes we have fully redesigned NEO contract builder. Will be released on Monday, the 3rd of September. There are several users who plan their ICO on NEO. 1. As a continuation of our Partnership program, We have conducted several meetings, and now we are studying proposals offered by some audit companies. 3. 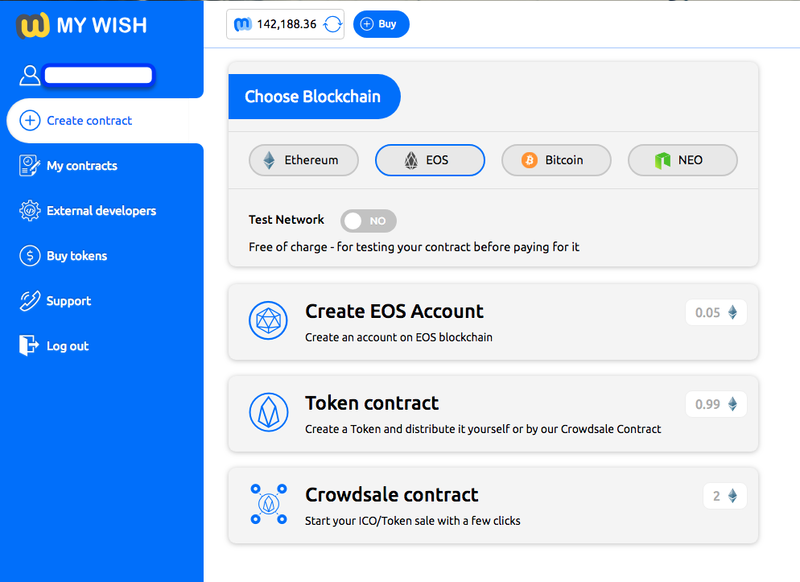 We are working on changing our interface to be easier for our clients, Every contract will have its own page, the new interface will include more info about the contracts and a video tutorial for every contract. we managed to get a contact with EOS, which will help us with our marketing plan. 6. In order to provide more quality service, Now the fees for creating a Token contract on Ethereum are 1.49 ETH. 7. An article about our current project on Bitcoin Exchange Guide, you can read it from here. 8. We got listed on EOS apps list, thank to our community now we are on top of the list.